Epic is the first web Browser launched by India with the support for many Indian languages(Hindi,Sanskrit,Nepali. 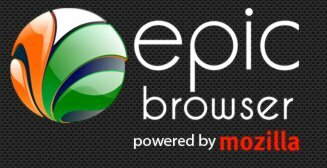 and others).Epic is a free,safe and fast web browser developed on the base of Mozilla Firefox.Epic is the only web browser with the in built antivirus program.A lot of free sidebar applications and plugins or Add ons are also available to use. Currently it is available for windows only but it will be available for Linux and Mac soon!! Firefox 4 will look differently than the current versions and it will looks little bit like Google Chrome.Application tab will also look like Google Chrome. Firefox 4 will have better support for technologies built using HTML 5 and CSS 3 for advanced styling features. 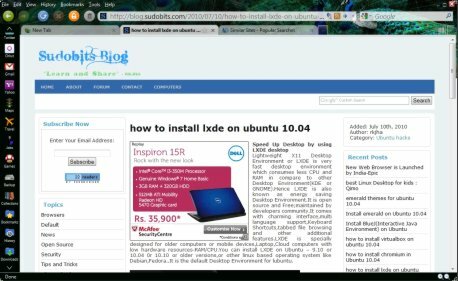 Firefox 4 will have advanced and much powerful tools for developers to make the debugging more easier and efficient. Management of Add ons will become more comfortable and efficient in the Firefox 4 due to the add on manager,which will come along with the Firefox 4.